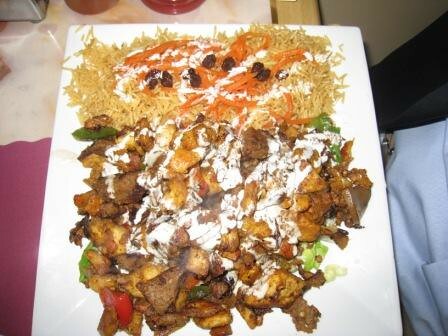 Kabab Paradise is a spotless, take-out and eat-in restaurant featuring succulent Afghan dishes in Morris County. Using an interesting combination of charcoal and lava rocks as the flame and heat source for its busy grill, this restaurant is known to stop traffic in its tracks on bustling Beverwyck Road with the incredible aromas it exudes. Chef Sal Fahim and his friendly staff greet customers warmly as they arrive and treat them like extended family as they dine in the cozy space. Hearing ‘the ususal?’ being asked by the cooks to the diners is typical as Kabab Paradise has boasted a very loyal following since it set up shop in Lake Hiawatha in 2004. Beyond the friendly staff is the fresh and absolutely delicious food. Kabab Paradise offers an extensive menu of made-from-scratch dishes, including many Halal options, prepared using quality ingredients. From the very tasty hummus to the hand-chopped burger meat to the fabulous skewered entrées, Kabab Paradise does it well. 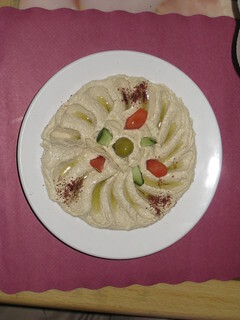 On a recent visit, my party enjoyed an attractive platter of hummus ($3.99 for small and $6.99 for large), made on the premises. The small portion, enough for two diners, is beautifully presented with just the right amount of fruity olive oil. Some of the entrées we enjoyed are the beef kufta kabab platter ($10.99), the mixed gyro platter ($8.99) and the chicken breast kabab ($11.99). The juicy beef kufta kabab is made of broiled ground beef marinated in secret spices and absolutely wonderful in every way. The mixed gyro platter is comprised of thinly sliced, then chopped, beef, chicken and lamb expertly seasoned and presented in a generous portion. Do not expect typical dried out grilled meat on a stick at Kabab Paradise. The grilled options are a revelation of moist, tender, flavorful and perfectly broiled meats. Entrées are presented with a large serving of seasoned basmati rice, a choice of beverage, bread and a tasty, tart cilantro and lime dressing. You will want to pour the secretly-prepared dressing over just about everything. Warning – it is highly addictive and you will dream about your next taste daily. Kabab Paradise is a must-try for a casual meal prepared using fresh ingredients by a team focused on making customers fantasize about their next visit as they walk out the door, completely satisfied. 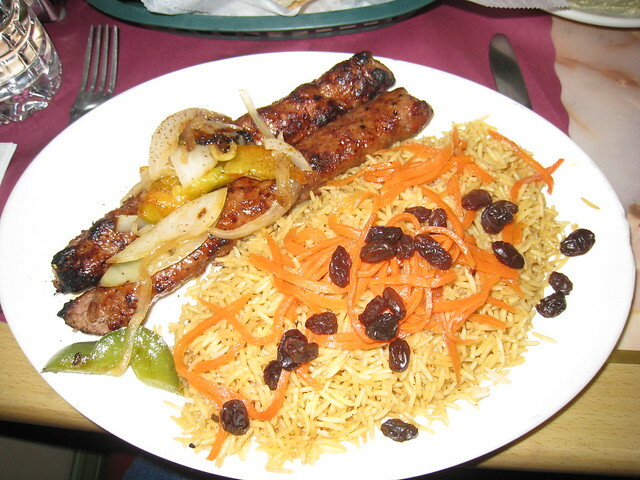 A second location in South Bound Brook (60 Main Street) makes it convenient for both Central and Northern New Jersey patrons to enjoy Kabab Paradise.